Bachelor parties are unique moments expected for months by the groom/bride and his groomsmen or bridesmaids. With a ton of options to choose from, it can be really easy to get confused and make the wrong choice. To help prevent bachelor or bachelorette disaster, we put together a list of the best attractions in the city for you to enjoy. Try one of these nontraditional bachelor party ideas, like a jet ski ride on the Hudson, or stick with a traditional, but fun rooftop bar. All you need to know is here. Begin the day by visiting one of the big apple tourist attractions, the Statue of Liberty. Why not visit it in an unusual way? A jet ski ride around the monument is a great way to start the party day and I guarantee your guests will never forget it. 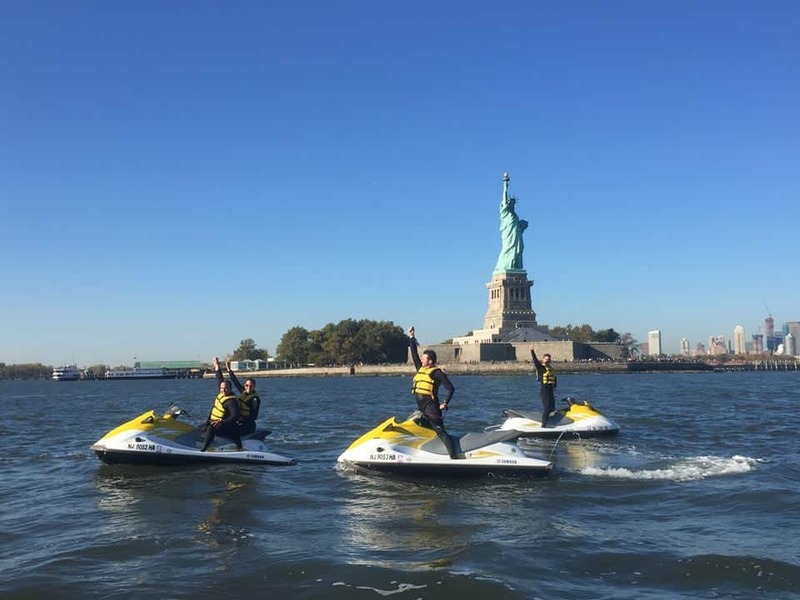 The Jet Ski Tour includes a unique view of the Manhattan skyline, Ellis Island, and your other favorite woman, the Statue of Liberty. If you’re into adrenaline and testing the limits of the city that never sleeps this tour is a must. You and your guests will see some main attractions in New York, including the Brooklyn Bridge, New York Harbor, The Hudson River and more from a seat on a Jet Ski, guided by a “pilot” that has been navigating these waters for 30 years. 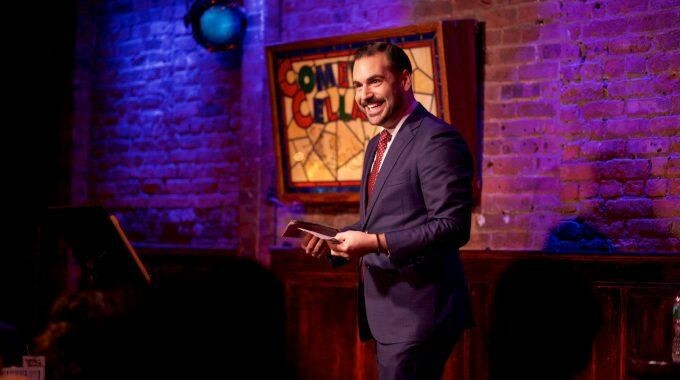 Some of the best stand-up comics in the world started in NYC, and whether you're seeing them in Manhattan clubs or Brooklyn dive bars, laughter is guaranteed. Our recommendation? Comedy Cellar! This is one of the most popular comedy clubs in New York City and a great way to kick off the night with your gang. A number of well-known comedians have performed here, including Louis CK, Ray Romano, and Chris Rock and more so you just might catch a glimpse of a celeb, or see the next comedy star. Not a recommended place for claustrophobes. It gets crowded down there, especially on weekends, thanks to the tremendous popularity of this club. Have a few drinks, pregame and enjoy the best comedians around with your friends. Moments like these will not be so common after the wedding (truth should be said). If you're tired of crowded clubs, the best way to say goodbye to your single status is on a boat. Put your sea-sickness aside and hop on board for an unforgettable night with your best friends. The city has lots of booze cruises equipped with ample bars, delightful food and live music to keep you entertained on the water. Big celebrations deserve nothing but the best. That’s why you should go for a night party cruise by Marco Polo Cruises. The reason is simple, you can sign up for an open bar and drink the night away. You can choose between a wine and beer open bar or a premium open bar. Cruises sail at 7:00 pm and return at 10:30 pm which means there’s still time for an after-party if you and your guests know how to have fun. The big apple can be a maze, so why not get a bird's eye view? 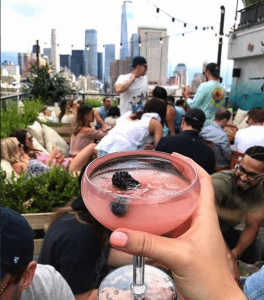 Manhattan and Brooklyn have the hottest rooftops for your bachelor or bachelorette celebration with some of the most iconic views. So drink, be merry and look at the beauty the city has to offer just watch out to not get into too much trouble. Hotel Hugo is located right along the Hudson River in a relatively off-the-radar area. It’s located in a quiet area but at night this place gets lit. This space is 20 stories high, with heart-stopping views of the Hudson River, Freedom Tower, Midtown and Statue of Liberty. Both Bar Hugo and the Havana-themed Azul have live music and a cantina vibe. It’s pretty upscale and urban with standard drink prices for Manhattan but it’s worth the night out. Le Bain is a penthouse discothèque and rooftop bar on the top floor of The Standard New York High Line which includes a huge jacuzzi next to the dance floor. Just don’t try to show your diving skills with your party outfit. You might be kicked out if you jump in with your clothes, but you can buy a swimsuit from a vending machine if you’ve forgotten your own. The combination of intense music and carefree crowd makes this place a bomb ready to give you crazy unforgettable moments. 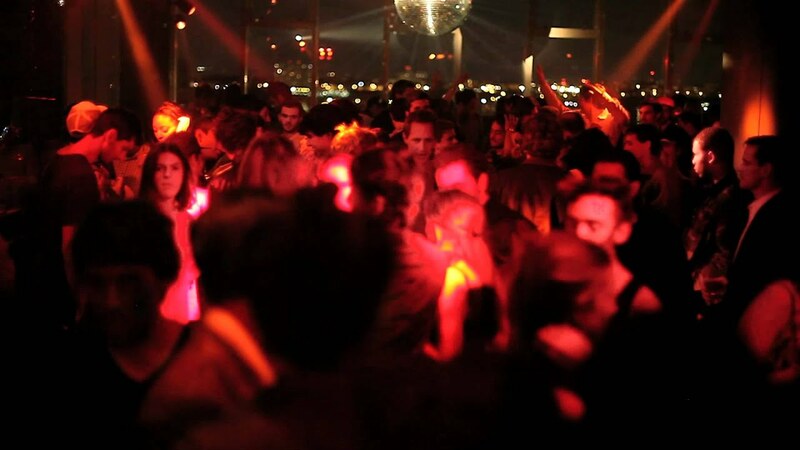 Le Bain is definitely action-packed, and it’s often picked as the last stop of the night.